It's always so much fun getting everything ready for a new school year, even though it can be an exhausting first month! It's important to establish a routine for as many class procedures as possible, because it will eliminate chaos and confusion. One really important procedure (for my sanity) is our classroom chore chart. We have thirty-six students, so it can get pretty messy after a busy day! Since we have so many students, we pair our younger students with an older student so we have buddy pairs that work together. We also don't do all of the chores at the same time, so that all 36 students are not trying to clean at once! Some chores are completed before lunch (snack monitors, cubby monitors, lunchroom assistants, etc.) and some are completed right before dismissal (area monitors, floors, dusters, etc.). The students really enjoy helping to take care of their classroom and the working on the practical life opportunities that the chores afford! Another really important routine for us is the lunch count/attendance board. Our students can bring lunch, order lunch, or order milk. 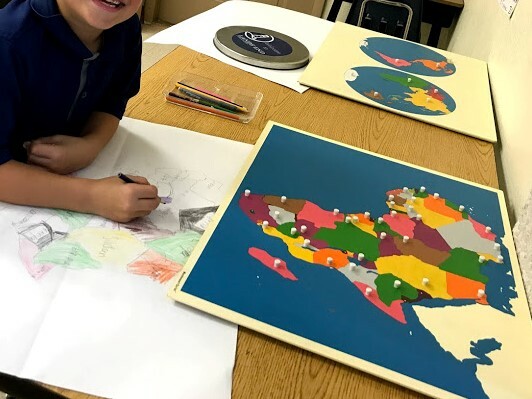 Throughout the years, we have tried several different methods of gathering this information each morning, looking for the method that affords the students the most independence. We finally hit on this board. 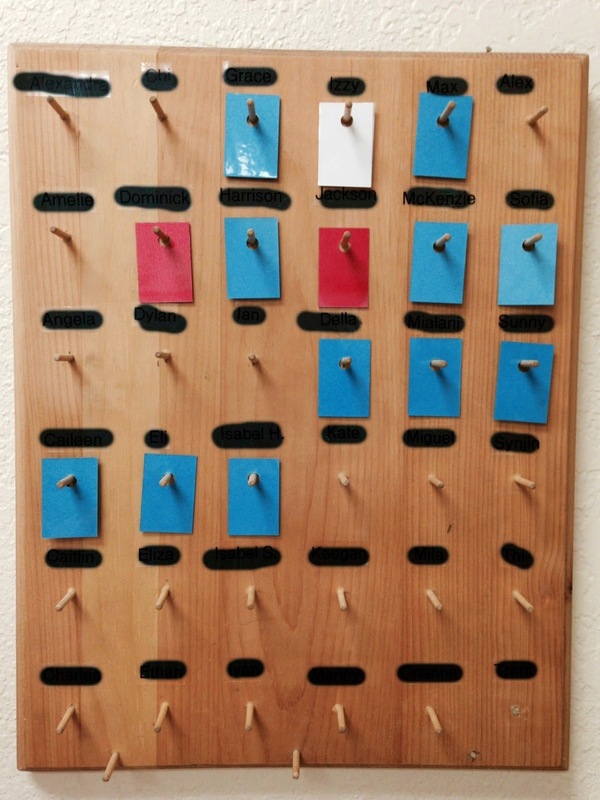 Each student has a peg with their name, and he/she puts up a tag each morning as they walk in the door- blue- brought lunch, red- ordering lunch and white- ordering milk. Then, a teacher records the students who are ordering lunch on a sheet and it is sent to the office. 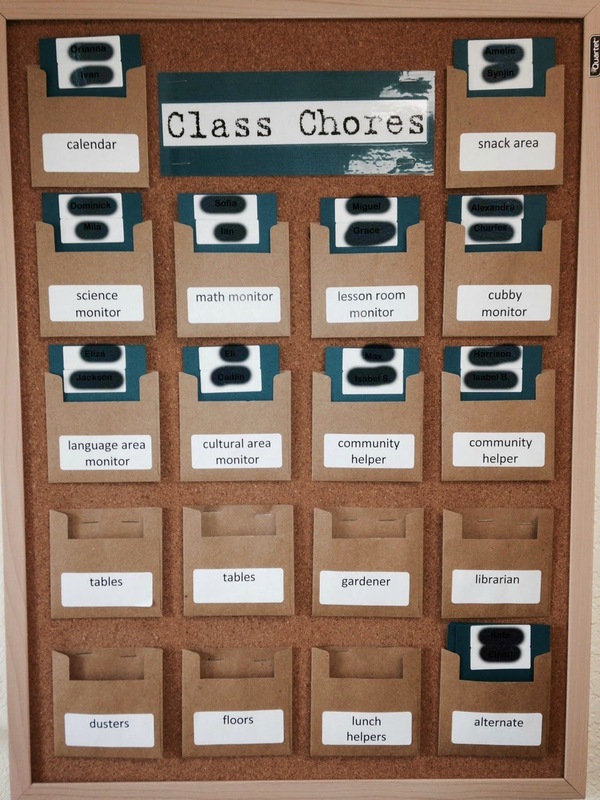 This also allows the teachers to also easily see who is absent each day. What are some classroom routines that you find helpful to establish? How Do You Track Your Students' Work?